Winter can be a challenging time for parents and kids with special needs. Now that holidays are over and routines are returning, you may need some fresh ideas to fend off the chill. So, if you and your kiddos have a bit of cabin fever this winter, here are five ideas for activities you can try to pass a long winter’s day. Winter is the perfect time to take advantage of some frosty, sensory playtime. Make a point of experiencing the cold and lightness of snow by making snowballs, tiny snowmen, or snow angels. You can help your child practice their vocabulary during the activity by naming the winter words: cold, white, snow, snowball, frozen, etc. It’s also fun to try snow painting by filling squeezable bottles or spray bottles with water colored with food coloring. Add enough color to make a dark contrast in the snow and then let your littles spray or squeeze out a snowy masterpiece. Practice saying all the colors as you paint. Another idea is to fill balloons with that darkly colored water and leave them outside overnight. In the morning you can peal the balloon off the frozen water and have beautiful colored orbs to decorate your yard. Kids will like watching to see if the colored balls eventually melt into painted puddles. You can practice words like: frozen, freeze, balloon, pretty, and colors. Gather some old sheets, blankets, pillows, cardboard, clothespins and yarn in a big laundry basket. Let the kids use their imaginations to build forts between chairs or behind couches. Don’t be afraid to get involved with the fort building, especially if your child is small or has special needs. Having a flashlight or battery powered candle will make the fort cozy. You can bring in your child’s favorite books, games, or sensory bins to spend a cozy afternoon in their soft, blanket clubhouse. While building, or once inside, you can practice vocabulary by talking about the activities. Have your child use words like: fort, blanket, pillow, hide, cozy, help, build, or other fun words. Oh, and don’t forget the snacks! Find a few items at your local dollar store, or around your house, to fit in a box, bag, or pillowcase. Try to find quiet time items that your child can use with less supervision like puzzles, fidgets, books, or sensory toys with a distinct shape (ball, blocks, car, shoe, cup, or spoon.) Then, you can hide (even in plain sight) the items around the house in scavenger-hunt style to have your child “discover” the items you suggest they find. Your child could play with each item until they lose interest and then move on to the next item to find. Another way to play would be to look for the objects with real or pretend binoculars or a flashlight. When they find the object, practice saying the name using simple phrases such as “I see _______” to work on language development. Making a bag filled with sensory items is a fun way to experience winter without a lot of mess. Fill a large zip close bag with about a cup of inexpensive clear hair gel. Then add small marshmallows, glitter, tapioca balls, and little cotton balls. You can also look around your house for small craft items or little alphabet letters that would be fun to squeeze or find in the goo. Seal the bag up tight (you might want to reinforce with tape to be sure it doesn’t spring a leak). Then your child can squish and paint and smoosh to their hearts content. If you keep the bag in the refrigerator the contents are cool for an additional sensory experience. This is a great vocabulary activity as well. Simply practice naming each of the items inside the bag. Remember “the floor is hot lava” game from your childhood? It’s fun to set up an obstacle course over stools and under tables, around chairs and through tunnels made with blankets. Use towels as free spaces or islands and pillows for resting spots. You can also set up rows of blocks to navigate around or a path with rags for jumping. Dodging around obstacles helps your kids develop their motor skills and can create hours of active fun. Practice naming actions like: jump, help, move, run, and rest. You can also practice imaginative concepts such as hot, burn, volcano, lava, and pretend. What other activities have you thought of to keep kids busy and engaged during the winter weeks? Please share your ideas in the comments below. 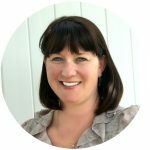 Darla Davis is a Speech Language Pathologist with Kids Who Count, a non-profit, early intervention program serving families within the boundaries of the Nebo School District in Central Utah. Darla coaches parents and caregivers at home to help them find learning opportunities in their child’s daily routines. She focuses on increasing expressive language skills such as gestures, sign language, pictures, augmentative communication systems, spoken language or receptive language skills like understanding and following directions. The speech services with Kids Who Count help children develop oral motor skills related to both speaking and eating. To learn more about Kids Who Count please visit https://kidswhocount.org/ or call 801.423.3000.